TOO CLOSE FOR COMFORT, a photo by Dovid100 on Flickr. 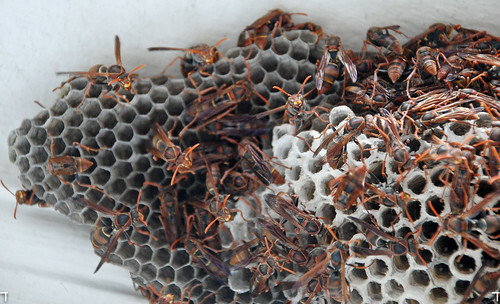 It just takes one wasp to attack, then they ALL attack. Fortunately I didn't get stung. I was more worried about the ricketty ladder I was on.